It may serve as no surprise that technology is becoming a solid foundation of today’s teaching styles. It’s already been implemented so heavily into every other aspect of our daily lives. However, in order for students to be able to take full advantage of technology’s effects, they must be taught how to use it efficiently. This is where technology educators come in. Through your expertise, you will guide your students on the best ways to utilize technology as an academic tool and more. There’s more to teaching about technology than simply being good with computers, however. You must also be skilled with conveying an assortment of concepts to your students in an easily digestible way. To make sure you’re prepared to do this, the state of Illinois requires all incoming technology teachers to take and pass the ILTS Technology Education exam. 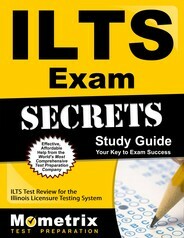 The ILTS Technology Education test has a time allotment of three hours and 45 minutes. Within this time period you will have to complete 125 questions, all of which are multiple choice. If you’re looking for tools to help you study for this exam, you’ve come to the right place. 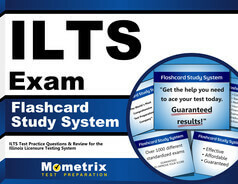 This page houses the official Mometrix Test Preparation ILTS Technology Education practice test. We have taken your needs fully into account while designing this free study tool. Through careful research, we have rendered this practice test to be as accurate to the real thing as possible. This will allow you to use it to learn firsthand what the full exam will entail, so you run into very few surprises once test day arrives. For best results, we recommend pairing this practice test with our complementary study guide. Good luck, and work hard!